Jag klickade hem min för 179sek men just nu är det 50% rea på flera av necessärerna så pass på! Ni hittar alla necessärerna här! ♥ Är jag by the way den enda människan som inte verkar kunna lära sig att stava till necessär? Before Christmas I bought a new makeup bag from hookedonyou.se that felt so me! Typically, it´s on sale now… never fails! ;) It’s the Youtube profile Therese Lindgren that started hookedonyou.se and given that I’m a bad youtube visitor (unfortunately), it’s probably a wonder that I succeeded to watch her channel at the same time as the page launched ! There are several fun prints that I could imagine actually as such: Content: Selfie Preparation kit ;) I bought my bag for 179sek but right now it’s 50% sale on several of the makeup bags! 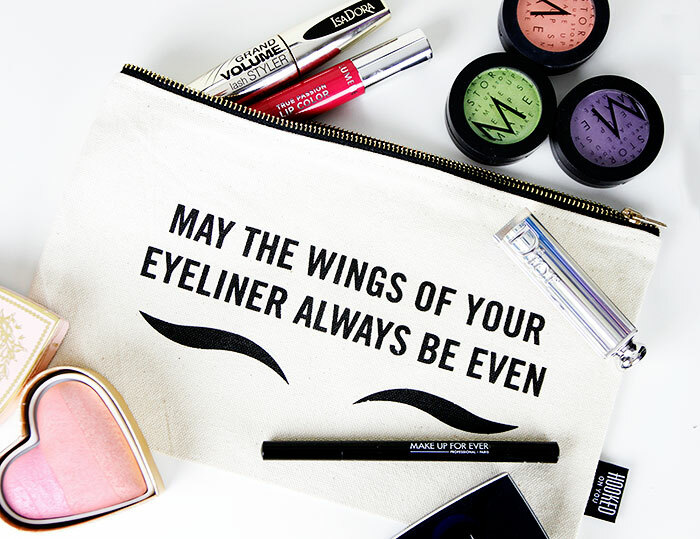 You can find all the makeup bags here! ♥ They ship to foreign countries for 99sek, no free shipping! I det här inlägget blev jag mer sugen på det hjärtformade rouget! Var är det ifrån? Eller hur! :D Love it!